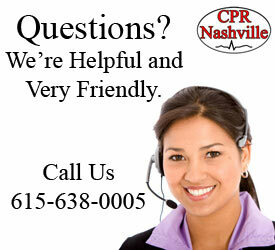 Need a First Aid and CPR Class in Nashville? CPR Nashville offers the American Heart Association HeartSaver® First Aid class combined with HeartSaver® CPR and AED training for adults, children and infants. *This class is for the General Public, not for healthcare providers such as doctors, nurses, etc. HeartSaver® First Aid/CPR courses created by the American Heart Association are for anyone with limited or no medical training who needs First Aid and CPR with AED training in order to satisfy job requirements or other regulatory policies requiring these certifications. Personal trainers, coaches, teachers, employees whose job requires First Aid and CPR training, and anyone else in the public who wants to have basic First Aid – CPR training in order to be prepared is case of an emergency situation should take this class. This combined Heartsaver® First Aid and CPR class is the American Heart Association certified course that teaches the basics of First Aid and CPR. 1. Injury Emergency topics include how to handle bleeding that you can and cannot see, head-neck-spine injuries, broken bones, sprains, wound care, burns, and electrocution. 2. Medical Emergency sections of the course will teach you how to react to issues concerning allergic reactions, fainting, stroke, seizures, cardiovascular shock and blood sugar crisis. 3. Environmental emergency course topics include training on extreme temperature related issues, poison control, bites and stings. This course will teach CPR and Automated External Defibrillator (AED) training on adults, children and infants. This includes AED training, rescue CPR with a mask, and rescue choking procedures. 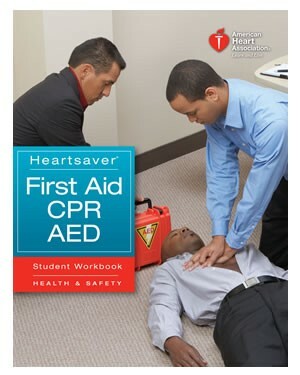 This is the American Heart Association HeartSaver® First Aid and CPR course. Immediately upon completion of this course you will receive a 2 year AHA HeartSaver® First Aid/CPR card from the American Heart Association (AHA). First Aid and CPR Certification Includes. -Great for all individuals and Families. 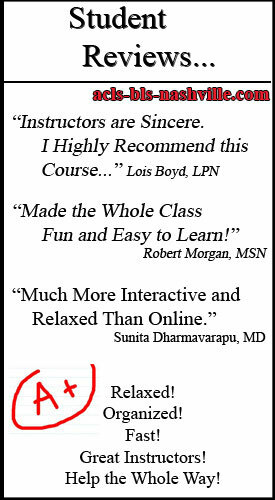 -100% American Heart Association certified class – best in the business! 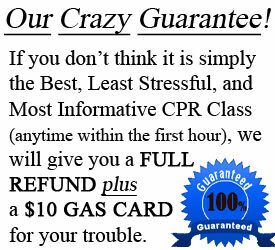 -Guaranteed Best First Aid and CPR Class – or your money back! -Get Your Card the SAME DAY! 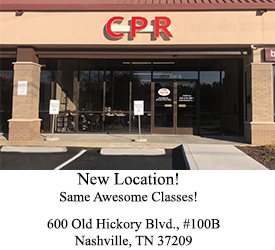 CPR Nashville offers American Heart Association HeartSaver First Aid and HeartSaver CPR classes in Nashville, as well as surrounding areas that include Brentwood, Franklin, Smyrna, Spring Hill, Williamson, Murfreesboro, Hendersonville, Lebanon, Gallatin, Mt. Juliet, and Forest Hills. All classes are taught in a stress-free manner by upbeat and very supportive, friendly instructors who want to see you succeed. HeartSaver® classes (both HeartSaver First Aid and HeartSaver CPR) are not for healthcare providers. 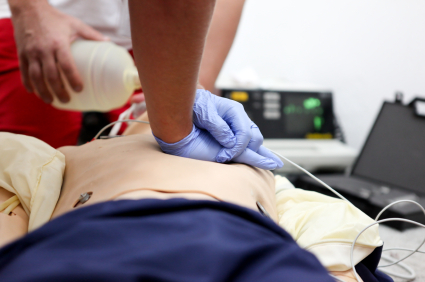 Healthcare providers such as doctors and nurses are required to take the American Heart Association Basic Life Support (BLS) CPR class. 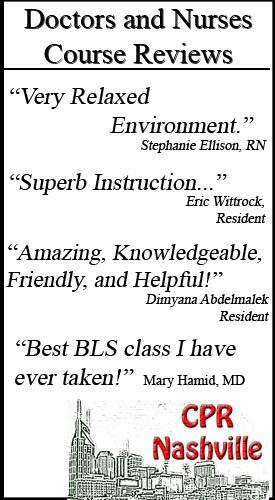 If you are a healthcare provider or a student in a medically related field, see our BLS CPR class. © 2013 BLS-ACLS-PALS Classes, Nashville | AHA CPR Classes All rights reserved.